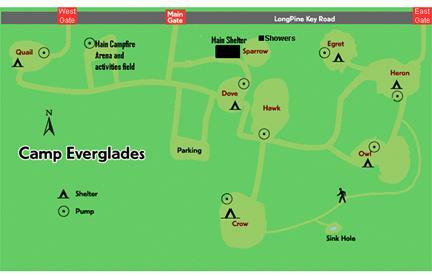 Camp Everglades provides tent camping at this 253-acre campground which is located within the Everglades National Park. 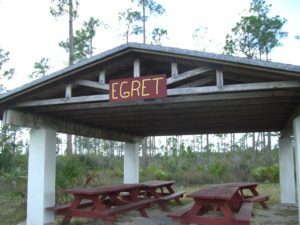 Beautiful sunrises and sunsets are common in this campground with clear views of the horizon in the east and the west. 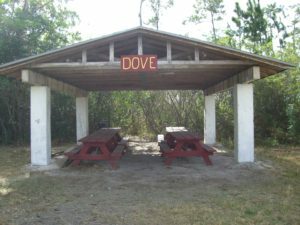 The campground offers eight primitive campsites, a main campfire arena, a main covered shelter, and pump wells. 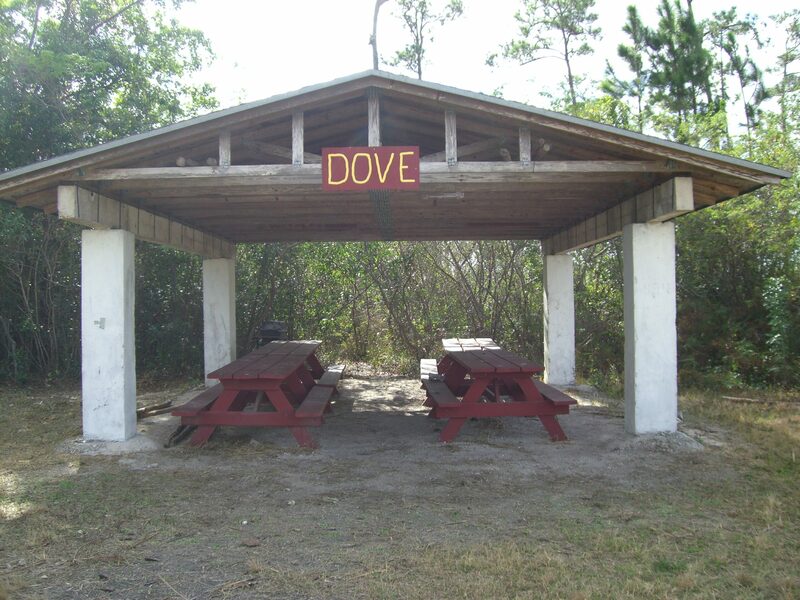 Running water, hot showers, and sinks are located near the main shelter and are available for all to use. Stoves, refrigerators, and electricity are located in the main covered shelter. Three eco-friendly composting toilets are located permanently at the camp. 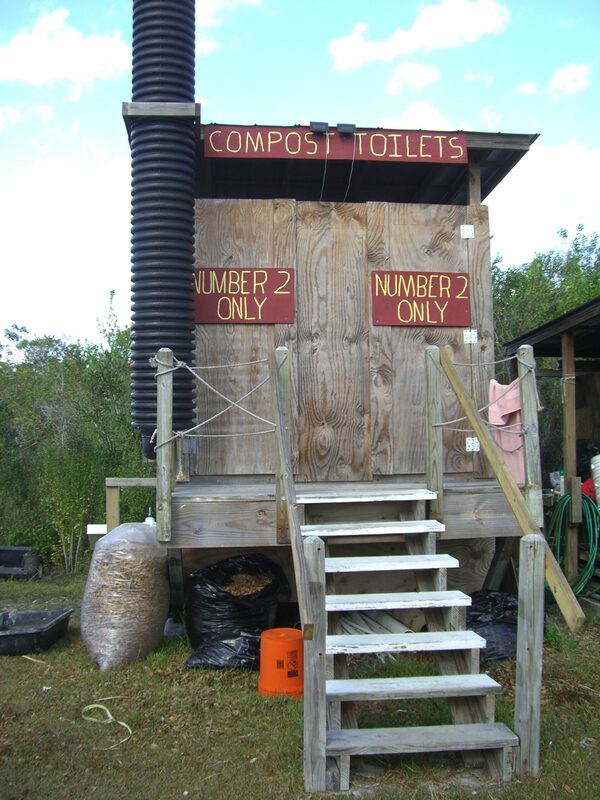 Garbage disposal facilities are NOT available and all garbage must be taken with you when you leave camp. 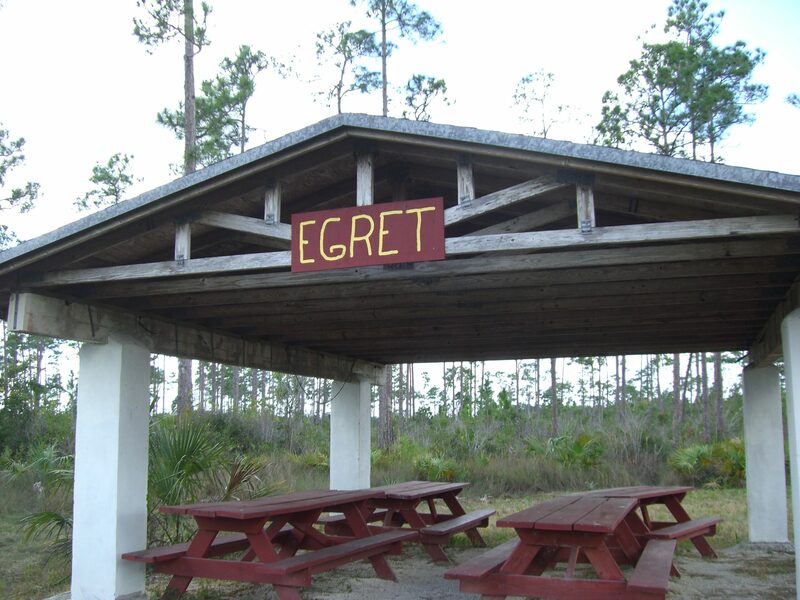 If your group decides to explore the Everglades, the National Park requires that you pay the necessary fees at the front gate. 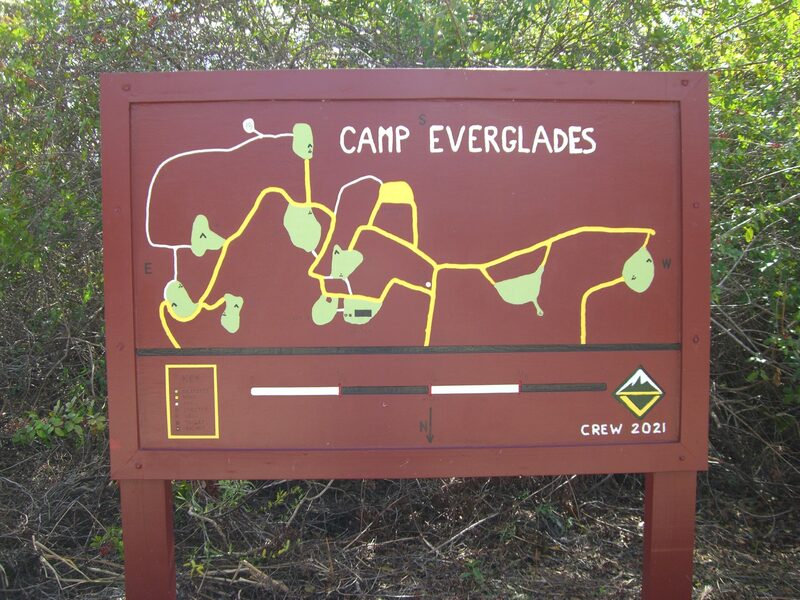 Camp Everglades also has a hiking trail that circles the area. The “sinkhole” and many birds are typical sites along the trail. 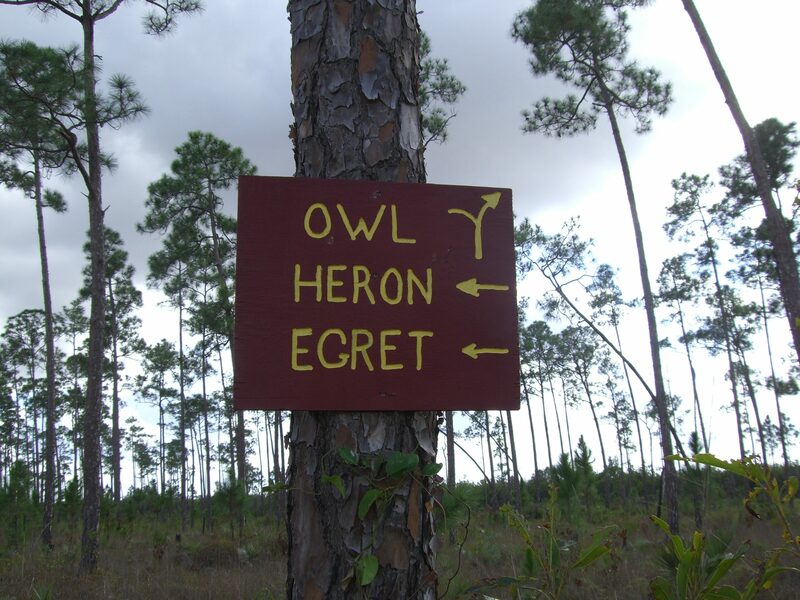 The Pine Rockland Forest also provides an excellent wildlife area for nature programs. 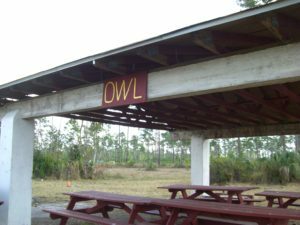 Flowers, animals, insects, reptiles and waterfowl are abundant in their seasons. 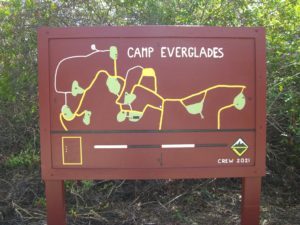 The recommended camping season is from November to May. 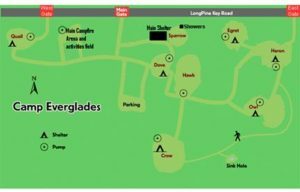 Beyond these months, the area returns to its natural state as a “river of grass.” A valid Camping Reservation Confirmation is required for admission to the Park System to access Camp Everglades.